Welcome to the home of UK Motorcycle Batteries. We stock a huge range of motorbike batteries, from brand names such as Varta, Yuasa, Numax and Lucas. We also stock high performance Motorcycle Batteries like the Odyssey Extreme Motorcycle Battery range. We have every possible motorcycle battery you'll ever need, covering flooded lead acid wet motorcycle batteries, AGM batteries and GEL motorbike batteries. All bike batteries are available for next day delivery in the UK. A motorcycle battery is a small starter battery. Much like a car battery, it is designed to give a strong burst of power to start the engine. Once this is done the motorcycle battery is then recharged by the bike's charging system. Different sized motorbike batteries are used depending on the size of the bike's engine and electrical loads. There are also three different types of motorcycle battery technology available. The original battery technology was the wet lead acid bike battery. This has free electrolyte in each cell and can spill if tipped on its side on upside down. The latest Motorcycle battery technologies are the Absorbed Glass Matt (AGM) or the GEL battery. AGM bike batteries, also known as Absorptive Glass Micro-Fibre, have their electrolyte absorbed by a fibreglass mat. This keeps the electrolyte as a liquid inside the mat, making it readily available, so AGM batteries can be discharged and recharged more quickly than GEL batteries. Both Gel bike batteries and AGM motorcycle batteries are sealed and cannot be spilt if tipped over. The latest technology in motorcycle batteries is the Lithium Bike Battery. Lithium cells are extremely lightweight, being approximately 65% lighter than the closest lead-acid equivalent. Shido offer a full range of Lithium Bike Batteries including some with Bluetooth compatibility. The Motorcycle Battery is an essential part of every bike. Without it you couldn't start your motorcycle or power any of the electrical equipment. For these reasons it makes sense to purchase a good quality battery, and not be tempted by the cheapest offered by some retailers. We will not stock a motorcycle battery without rigorous testing to ensure we only deal in good quality, high performing bike batteries. 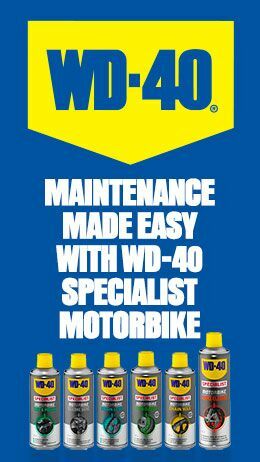 We have an excellent reputation in the motorcycle industry, amongst everyday riders and enthusiasts, and endeavour to maintain this by supplying only the best and most reliable Motorcycle batteries available. All motorcycle batteries are either 6 Volt bike batteries or 12 Volt bike batteries. Each motorcycle battery has an Amp-Hour (Ah) figure which is a measure of the battery's capacity, and a cold start figure measured in Amps (A), which is a measure the batteries power output. As a general rule the larger the motorbike battery the higher these figures will be. Higher performance AGM motorcycle batteries like the Westco Platinum Motorcycle Batteries and the Odyssey Bike Batteries can offer higher performance in smaller sizes. Motorcycles with larger engines, and high compression engines are harder to start, and therefore require motorcycle batteries with a higher cold start (A) performance figure. Motorbikes with a high demand on electrical equipment need batteries with a higher capacity (Ah) as this protects against deep discharge. Whichever Motorcycle battery you choose, it is imperative that you look after the battery by using a Battery Charger/Conditioner regularly. This will keep the battery in optimum condition for a cold morning start, and prolong the battery's service life. This is especially important during the Winter months.